BarefootLaw is a not-for-profit organisation, based in Uganda, that provides the public with free legal services. With a specific focus on serving rural and informal areas, BarefootLaw uses a number of platforms to disseminate legal information, including: social media, SMS, Skype conferences, and community engagements (such as legal clinics, radio programmes and theatre). The organisation recently, along with two others, won the King Baudouin African Development Prize. 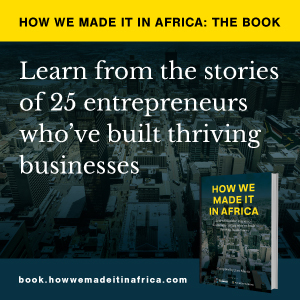 Co-founder and managing director, Gerald Abila, spoke to How we made it in Africa about attracting funding, dealing with risks and his biggest mistake so far. Access to justice continues to be a problem for millions in Uganda. This problem arises primarily as a result of ignorance about the law, and minimal access to legal services. As a result, many legal problems remain unresolved, or are resolved using crude methods like mob justice. However, Uganda, like many other parts of Africa, has seen a rapid growth in technology such as mobile phones and internet. Leveraging on this trend, we are able to offer free legal help to many who would otherwise remain under-served. How is the business funded? In the beginning, we went out to prove a point: Access to justice could be provided to the masses at a very low cost. Volunteers provided both their labour and financial and technical resources, in what we called a ‘tithing model’, to support this experiment. Partnerships were also formed to further the success of the goal. However, as the organisation grew, and the cost of running it grew, attempts at raising funds were met with great difficulties. This was further exacerbated given the form BarefootLaw had taken in a bid to be as cost efficient as possible, and trying to reach thousands on an impossibly low budget. Subsequently, the organisation decided to raise some funding through entering competitions and using the winnings to further its services. This proved greatly beneficial in sustaining the organisation, as did the commencement of some financially-supported projects, such as the Women’s Property Rights Initiative. Why did you chose to go the path of a non-profit? We started BarefootLaw with the understanding that the lack in access to justice in Uganda, and the widespread ignorance of the law, was a huge challenge with far reaching consequences. We knew that if we wanted to help solve this problem we would not be able to charge our beneficiaries. The majority of them would not be able to afford the services, which is why they had lived their lives, for the large part, in the dark about the law which governs them in the first place. We knew we wanted to serve them – but we had very limited resources and they could not afford to pay for legal services which had always been reserved for the rich and privileged. The only feasible option we could think of was to engage them and get them interested in the law, without expecting anything back. Therefore we chose to go the path of a non-profit. If you were given US$1m to invest in your company now, where would it go? With $1m we could invest in expanding in the different directions we have always wanted to go. We wish to expand into creating a system where beneficiaries can get automated responses regarding the complex and extremely unique legal challenges they face in their lives. We would also like to expand our network of nodes to cover the country. We have a vast amount of the population who are unreachable by technologies, but still face shocking legal challenges. We have confronted situations where a person contacted us through a third party because they themselves did not have the means to contact us – but their legal problems and the injustices they had suffered were still heart breaking. What risks does your organisation face? Our system faces the very real threat of being overwhelmed and crashing, should our inquiries continue to rise without us being able to upgrade the system. Already the number of people we reach has almost doubled in the space of one year and is about 10 times what it was at the start of 2014. Were the system to crash, i.e. were we to fail to process all the queries we get in the time necessary to solve them, we would be overwhelmed by a growing backlog, our technology would be inoperable and the problem would become insurmountable without a reset – which would mean disappointing thousands of waiting beneficiaries. This is why we need to upgrade our system and activities before we face this challenge. What has proven to be your most successful form of marketing? Word of mouth – people telling their family and friends about us. Secondly, we have utilised social media to reach out to as many people as possible. Through the different benefits of social media, such as sharing posts and tagging people, we have been able to get a big following for a legal information service provider – the biggest following for such an organisation in East Africa. Describe a pivotal, entrepreneurial moment. On a personal level, my most entrepreneurial moment was when my previous tech start-up collapsed. This led me to diagnose the reasons for its collapse, and was one of my motivations to go to law school. The most entrepreneurial moment for us at BarefootLaw is to see the benefit of our services – especially through our mSME Garage project which helps micro, small and medium enterprises. Seeing them grow, and thrive as a result of this assistance is truly humbling. One of them has even gone on to win the Africa StartUp Cup. Tell us about your biggest mistake, and what you’ve learnt from it? I worked so hard at law school and during the early days at BarefootLaw, I lost touch with some very useful people in my social circles from being unavailable. That was a mistake.